Farmers have become more selective when buying breeding ewes, amid fears the sheep industry could be hardest hit when the UK leaves the EU. Tom Davies, Welshpool auctioneer, said Brexit was one of the reasons behind the more cautious trade. Mr Davies added it was affecting trade across sheep rings. For fat lambs, prices had been ‘up and down’, although generally coming down in price with store lamb prices fairly good. 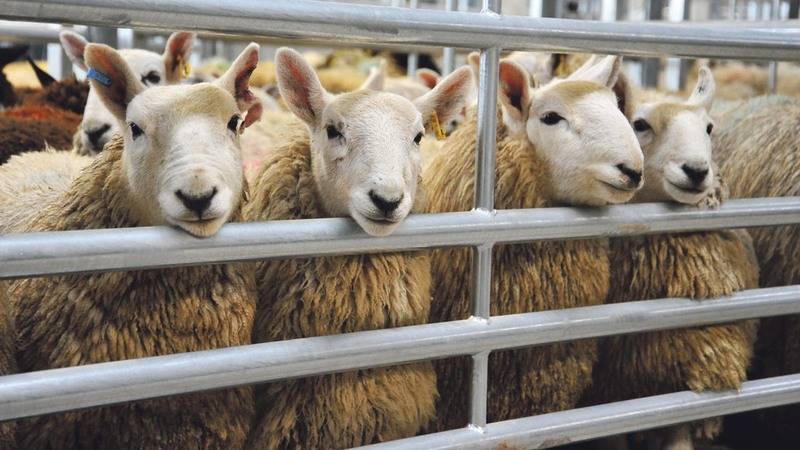 Robert Venner, auctioneer at Sedgemoor Market, said there was a mood of ‘stoic’ optimism around beef and sheep rings, but there were a lot of unknowns after 2020. He said there had been large numbers of store cattle coming to market, with the best cattle selling well. Mr Davies added the launch of the enhanced TB Eradication Programme on October 1 did not seem to have affected sales. Lawrie and Symington auctioneer Tam Struthers said prices for breeding ewes had fallen slightly, with buyers more cautious. The weather has dominated the mood in the marts in Scotland and Mr Struthers said he could sense farmers’ frustrations, with many still battling to get the harvest completed. He added there had been a good trade for store cattle and suckled calves. However, he emphasised the farming community was resilient, despite the depressed mood. Mr Venner said the impact of the weaker pound was still helping support prices. For dairy cattle, prices for heifers have improved on the back of more favourable milk prices. The mood on the ground was ‘cautiously optimistic’, but Mr Venner said farmers were still hurting from the last downturn.